Last week we were in the midst of record snowfall and here we are today, with sunshine, warm temps and melting snow! What a difference a week, a day, a moment makes…Instead of the mid-winter blahs, I’m rejoicing in my mid-winter blooms! I think there is something magical about flowers blooming in the winter. They remind me of the beauty and grace of nature, even in spite of a raging blizzard outside. They offer a splash of colour to an otherwise grey and dreary day, uplifting my heart and soul. At this time of year, we often get antsy, restless, down…Tired of hibernating we may want to be somewhere warm or at least anywhere else away from the cold and darkness of winter. However, as author and meditation teacher, Jon Kabat-Zinn reminds us, “Wherever you go, there you are”…You can’t run away from yourself and you can’t always get on a plane to the beach. 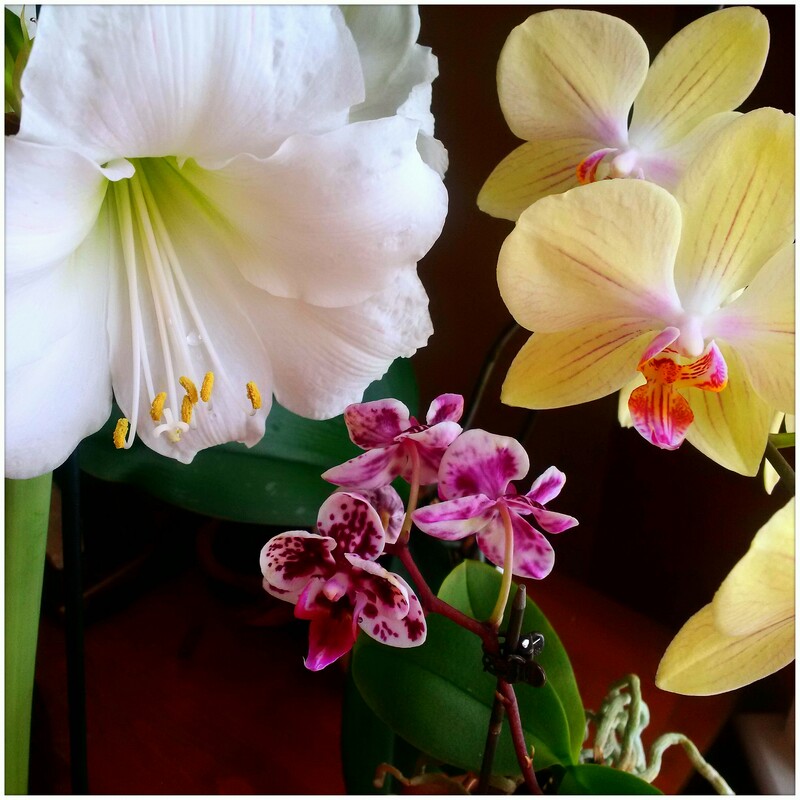 Instead, I am choosing to be HERE in this moment, with snow and ice outside, and the miracle of life unfolding in front of me in the form of a tall amaryllis, a baby orchid, and a soft buttery phalaenopsis.